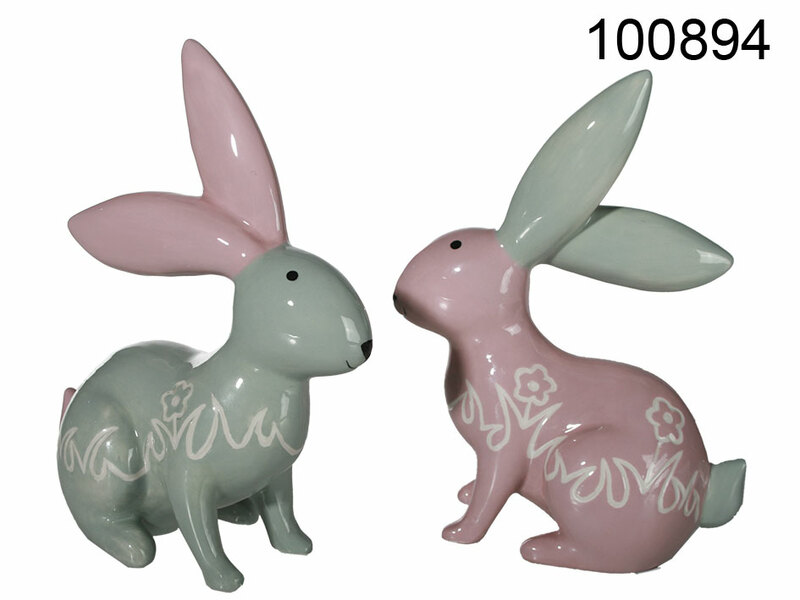 Cheerful ceramic bunny figurine. Lovely pastel colours. Subtle Easter decorative item for every household. White grass and flowers decor. Size: 12 x 9 cm. Two colour versions available - assorted.